We knew he’d been accepted and that it was only a matter of time but I guess we didn’t realise that time would come so quickly. No the paperwork and information required wasn’t pleasant nor easy either at times but we are so thankful that it all went through smoothly once they were sent in and how the Lord worked with the timing and process of it all. Speaking of immigrating to Canada, isn’t it funny how you see something your whole life and don’t really notice it? 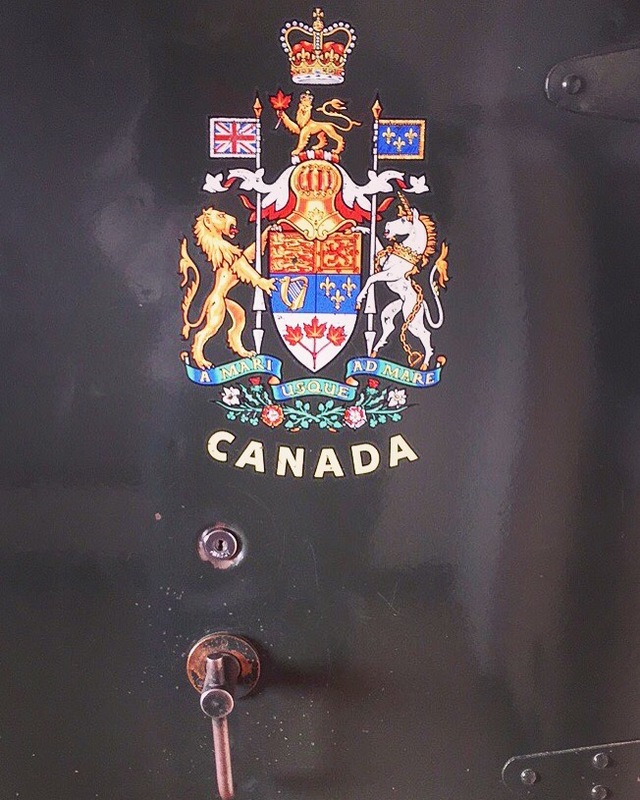 For me, I’m speaking of The Coat of Arms of Canada, seen on a big safe in our little local post office. I’ve seen it hundreds of times and never really looked at it until today and when I did, I noticed it had… a unicorn??! I looked more closely and yep, it was for sure a unicorn and I wondered if it could truly be Canada’s Coat of Arms and motto. But still, it seemed too magically fantastic to be our representation.